Shopkeepers in Chapeltown, where two men were yesterday stabbed, say drug dealers are operating brazenly on the streets. They have called for police to do more to tackle gangs in the Sheffield suburb and stem what they say is a rising tide of violence. None of the shopkeepers we spoke to near the roundabout off Burncross Road where violence flared on Tuesday evening was willing to be named, but they shared similar frustrations. "I've had this shop for a year and wish I'd never bought it. I just want to sell up and leave,” said one. “Before what happened last night, we’d already had a stabbing round here on Boxing Day and another about two months later. "You see people selling drugs every day quite openly just outside the shops and in the car park. "We've had so many meetings with police, who tell us they know who's doing it but they need more evidence. "If police stopped the cars and searched them, or searched people's pockets, they would find drugs, but they’re not doing that. "I think the violence we're seeing is part of a drugs war. People come in here looking like beggars and they take £50 notes from their pockets. I work 15 hours a day and I don't get that kind of money. It's not hard to guess where they're getting it from. "I don't feel safe here. We've also had problems with shoplifting and with groups of 20 or so kids coming in and throwing things around, falling onto the shelves and damaging things, and it's getting worse." 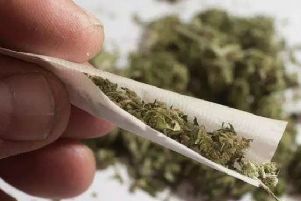 Another shopkeeper told how drugs had been a problem in the area for years, and he had only recently seen people dealing openly on the steps to Asda. “They need to be nipping things in the bud and dealing with the kids who aren’t even 16 but are already in gangs causing trouble, before they get involved in something more serious. Going round and speaking to their parents would be a start. A third shopkeeper added: “There’s been a lot of bother in Chapeltown and High Green of late. Just a couple of weeks back, a car rammed into another car in what I assume was a drugs-related incident. A guy ran off from one of the cars and someone from the same car chased after him. “I think drug-dealing is very prevalent in the area now. It used to happen round the back sometimes. That’s died off a bit but we have vents and sometimes we nearly end up getting high because there’s such a strong smell wafting in from outside. “We don’t see police round here very often, especially given you have the big police station only a couple of miles away in Ecclesfield. Last night’s double stabbing happened after two cars collided on the roundabout off Burncross Road, close to Tesco Express. Two men, aged 21 and 25, were treated in hospital for minor stab wounds, following what police believe was a ‘targeted attack’. It is not known at this stage whether the violence was connected in any way with drugs. 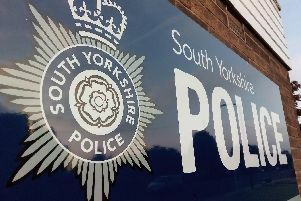 South Yorkshire Police said: “We know that the incident in Chapeltown last night may cause concern to those who live and work in the local community. “Residents and business owners can be reassured that a plan is in place to address the issues that have been raised and the Local Neighbourhood Policing Team will be in the area over the next few days to give anyone who would like to find out more the chance to have a chat and give their view.